I am happy to announce my newest items I am adding to my Etsy shop: whimsical wall art plaques! 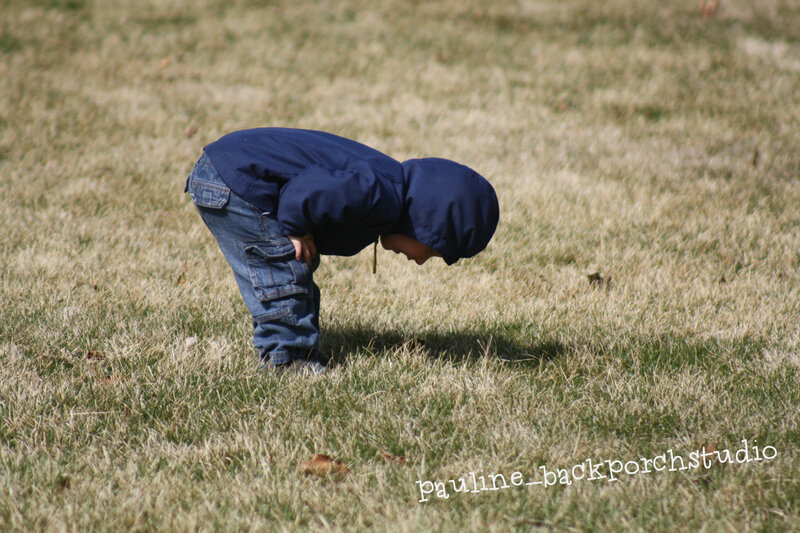 I am thrilled to be able to continue to work with clay inside this winter where it is nice an warm as opposed to my back porch where it is very cold, icy and snowy this time of year. I roll out a slab of light brown reclaimed stoneware clay then cut out free from shapes. Next, I hand stamp quotes I find whimsical and inspiring then embellish each plaque with stamps collected through the years. Each plaque come with a steel wire ready to hang. 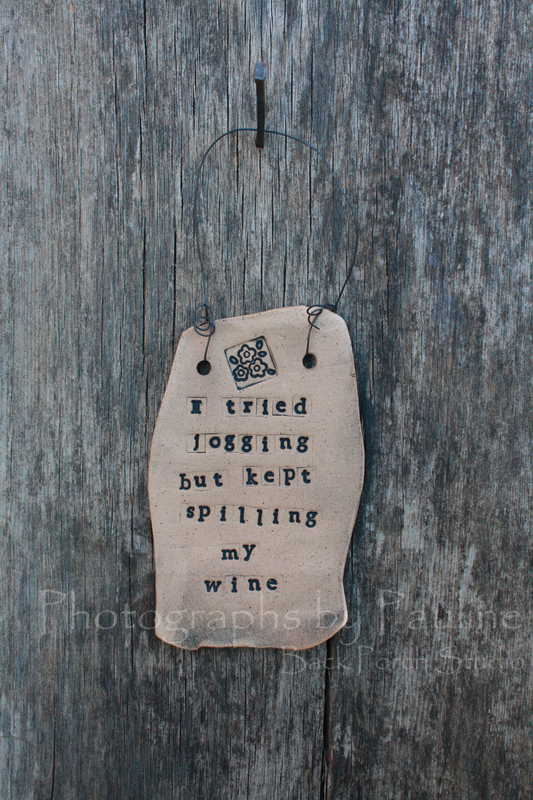 Jogging/Wine Plaque: Inspired by my friends Ann, Laura, Tammi, Theresa and Valerie! 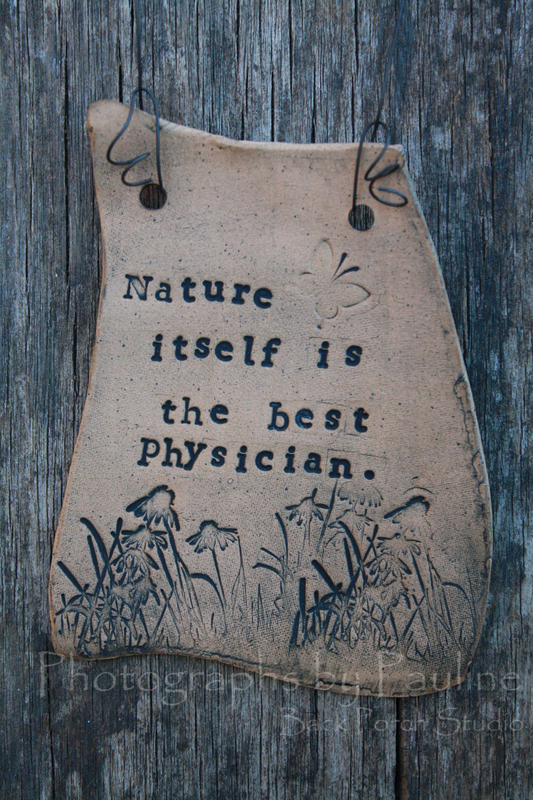 Nature/Physician Plaque: Our daughter gave me the floral stamp two years ago for my birthday and I’ve been wanting to use it in my pottery some way. I have to admit, I really like how these came out. T.G.I.F. 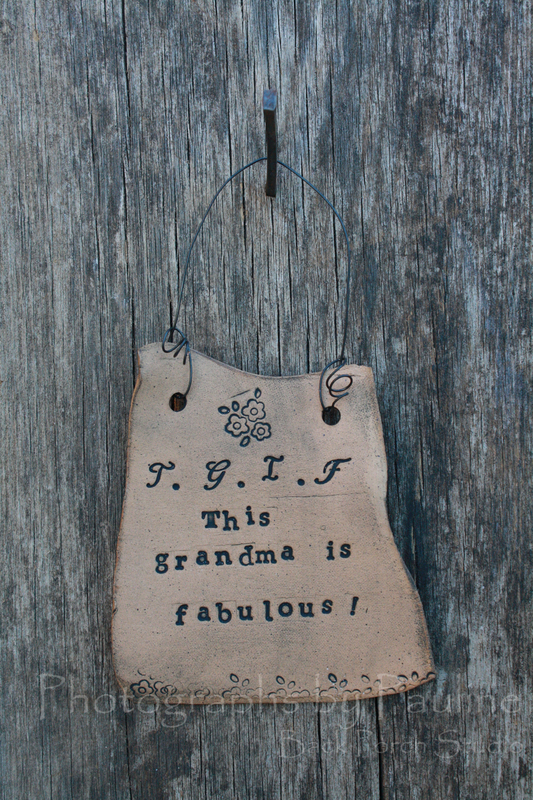 Plaque: These were inspired by a plaque a dear friend sent me when I became a Grandma. 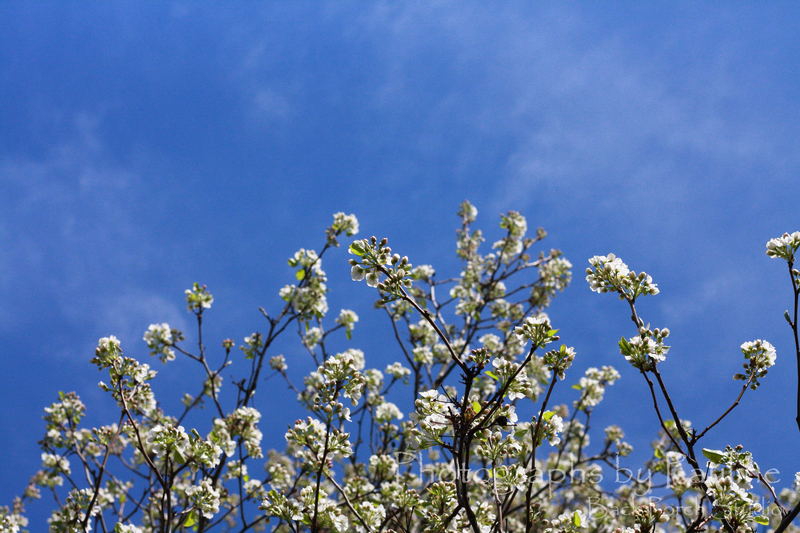 As you can see from the picture below, I made quite a few. Since then (November 1) I’ve given several away as gifts and a dear friend of mine purchased most of my inventory to give as Christmas gifts. 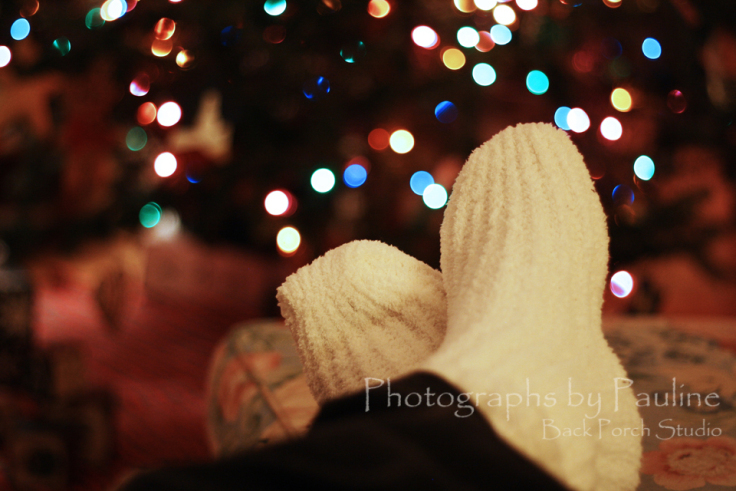 (These make great gifts!) Never fear, I do have some left and available here and here PLUS I will be making more! 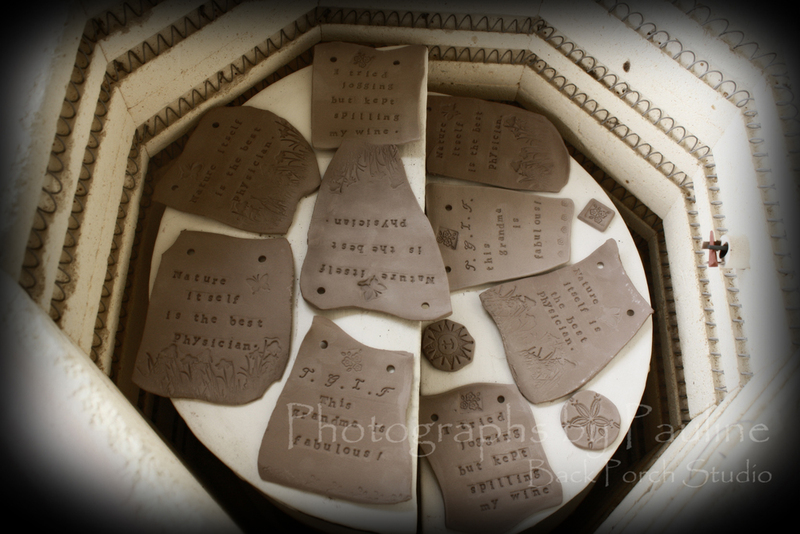 Whimsical Inspirational Wall Art Plaques in the kiln.